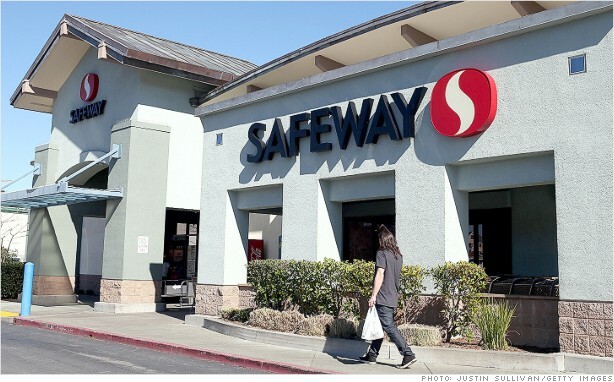 Safeway's stock dropped 15% Thursday following weak earnings. Safeway's (SWY) stock looks unsafe at any speed today. It's down more than 15% after the company reported quarterly results. Supermarkets are notoriously challenging businesses. Take Whole Foods (WFM) out of the equation and nearly every grocery store struggles to generate healthy profit margins. Competition is tight within the industry, and then there's Wal-Mart (WMT). The big box retailer wants to eat every supermarket's lunch, dinner and breakfast. Safeway's sales dipped during the latest quarter and fell short of what Wall Street analysts were expecting, but the real question is: Why would you shop at Safeway? Think of Whole Foods' gleaming produce aisle, and then picture how one StockTwits trader describes Safeway's stores. There is one positive indicator from the trading community. It's generally a good thing when insiders buy their stock. Still, most investors are unconvinced. Safeway and short seem to be somewhat synonymous on StockTwits.